I had the pleasure of visiting Riverview Montessori last month with my youngest two children. As it was ‘bring someone you love to school’ day we felt particularly honoured to be joining friends and excited to play/work Montessori for an hour. The individualized learning process particularly appealed to Rose. She was very excited to choose her activities and after watching how the other children were selecting their resources and finding a place to sit, either on the floor or at a table she did the same. 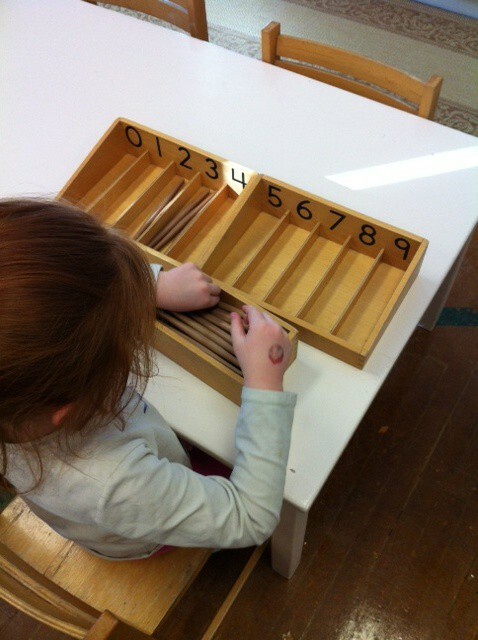 She worked at a table to begin with, counting and sorting. 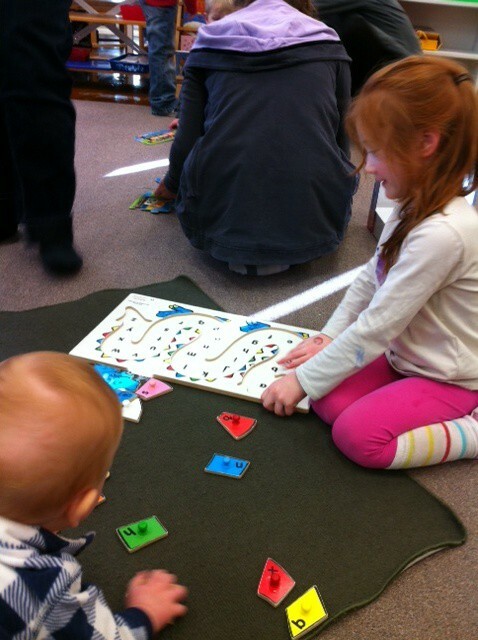 Rose then moved to the carpet and unrolled her mat with the help of a friend to begin a letter puzzle. Yes, that is Freddy trying to ‘help’. Dancing and singing with friends was wonderful fun. Rose did not need guidance with activities and she was immersed in her learning for the full hour. Getting her to leave was a challenge! We all thoroughly enjoyed our visit. Thank you Riverview Montessori. She did however ask in the car on the drive home “How come nobody played with me, Mama?’ which I considered quite insightful. I explained that her friend’s school works a little bit differently to her nursery program, friends tend to choose their activities and do them independently. It is more about free choice. She seemed fully satisfied with this answer. Have a look at Quality Classrooms’ selection of resources suitable for Montessori here. A second post exploring more of what Maria Montessori’s theory of teaching is about and what it can look like in a classroom, will follow.